The French government has buckled on planned fuel tax hikes in a bid to draw the heat out of fierce protests that have escalated into the deepest crisis of Emmanuel Macron’s presidency. The concessions, coming after an earlier 500-million-euro relief package for poorer households, mark the first time 40-year-old Macron has given ground in the face of public opposition. 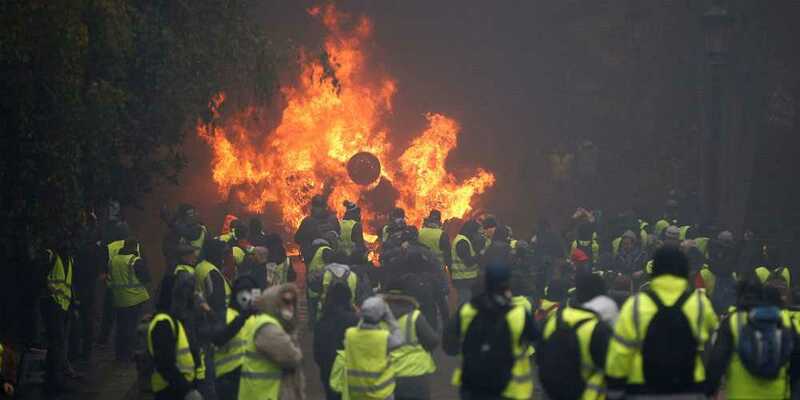 Prime Minister Edouard Philippe announced Tuesday rollbacks on fuel taxes and electricity price increases in a rare televised address after France was rocked by intense street clashes and vandalism in Paris over the weekend. “This anger, you would have to be deaf and blind not to see it, nor hear it,” Philippe said after more than a fortnight of demonstrations by so-called “yellow vest” protesters. “No tax merits putting the unity of the nation in danger,” he said. Planned tax increases on petrol and diesel on January 1 will be suspended for six months, while hikes in regulated electricity and gas prices will be frozen during the winter. Pressure has been mounting on the government after protests degenerated into the worst street clashes in central Paris for decades. Across France, four people have been killed in accidents linked to the demonstrations and road blockades, and hundreds injured.